If you’re used to hiding your smile because you’re unhappy with how your teeth look, then veneers could change your life. This customizable treatment option gives you the power to make over the appearance of your teeth to essentially create your dream smile. At Green Tree Dental, we love working with patients to figure out how we can cover any imperfections and reveal a picture-perfect smile they can be proud of. Your teeth have been worn down. Your teeth are too short. Your teeth are chipped or cracked. Your teeth have small gaps between them. Your teeth are severely stained or discolored. If any of these apply to you, we’d be happy to see you for a veneers consultation to go over what we can to do to improve your smile. The veneers procedure involves bonding extra-thin shells of tooth-colored material to the front of your teeth to change their color and shape. They are long-lasting and stain-resistant, and we design them to look natural. 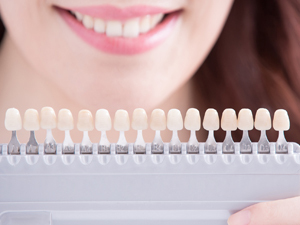 There’s no one standard price of veneers because there are many different contributing factors to their cost. How many teeth are being altered, the type of material being used, and whether or not insurance is covering a portion all come into play. After you’ve had a veneers consultation at our office and we get a better idea of what you’re looking for, we’ll be able to give you a cost estimate. Considering veneers but worried about the cost? We want to help make it as easy and affordable as possible for you to get the bright, confident smile you’ve always dreamed of having. At Green Tree Dental, we give patients the option of payment plans through CareCredit®. Rather than having to cover your treatment costs all up-front, you can spread everything out over low monthly payments.